VMware vCenter Server pools ESXi host resources to provide a rich feature set delivering high availability and fault tolerance to virtual machines. The vCenter Server is a centralised management application and can be deployed as a virtual appliance or Windows machine. It should be noted that vCenter 6.7 is the final release where Windows modules will be available, see here for more information. All future releases will only be available in VCSA form, if you have not already started planning migration to VCSA see vCenter Server Appliance 6.7 Install Guide and Migrating Windows vCenter Server to VCSA 6.7. This post gives a walk through on a clean installation of vCenter Server 6.7 on Windows Server 2016. If an external database is used it should be Microsoft SQL Server 2008 R2 SP2 or above, or Oracle 11g or 12c. You can review a full list of compatible versions at the Database Interoperability Matrix. The account used for external database authentication requires Oracle DBA role, or SQL sysadmin server role, or db_owner fixed database role. For a full list of explicit permissions review the Database Permission Requirements. Any hosts you want to add to vCenter 6.7 should be running version 6.0 or above, 5.5 and earlier will not work and do not have a direct upgrade path to 6.7. As noted above the Windows modules will not be included for future versions, therefore the recommended installation method for vCenter 6.7 is the vCenter Server Appliance (VCSA). When implementing a new vSphere 6.7 environment you should plan your topology in accordance with the VMware vCenter Server and Platform Services Controller Deployment Types. Most deployments will include the vCenter Server and PSC on one server, following the embedded deployment model, which I will use in this guide. Greenfield deployments of vSphere 6.7 can take advantage of Embedded PSC with Enhanced Linked Mode, providing native vCenter Server HA support, and removal of SSO site boundaries. Where the PSC is deployed on a separate machine this requires 2 CPUs, 4 GB RAM. It may be necessary to temporarily stop any third party software which could interfere with the installer, such as anti-virus scanner. If the vCenter Server services are running as a user other than the Local System account then the user must be a member of the administrators group and have the following permissions; log on as a service, act as part of the operating system. Verify that the local machine policy allows assigning Log on as a batch job rights to new local users. All vSphere components should be configured to use the same NTP server. Before beginning if you intend to use vCenter Server with an external SQL database you must configure a 64-bit ODBC data source for external databases. You may also need to install the Microsoft ODBC Driver for SQL Server. ODBC Data Source Administrator can be accessed via Control Panel > Administrative Tools. Click System DNS, Add and input the details for the external database, test the data source before continuing. If you are using the internal Postgres database then the System DSN is added automatically during installation. Download the VMware vCenter Server and Modules for Windows ISO from VMware downloads: v6.7.0. The vCenter Server 6.7 Installer will open in a separate window, click Next. In this guide we will be using an embedded deployment model. If you are using an external deployment model the PSC component must be installed first before the vCenter. Select the deployment type and click Next. If the Windows server does not have sufficient resources allocated the installer will error at this stage. Enter the FQDN in the System Name field and click Next. Create a new Single Sign-On domain, or join the vCenter to an existing SSO domain. If you are creating a new SSO domain either leaves as the default vsphere.local or create a new SSO domain name, (not the same as your Active Directory name). Configure a password for the SSO administrator account and a vCenter specific site name, click Next. Note: vCenter 6.7 is the last release where a SSO site name will need to be provided. Select an embedded Postgre database or point the installer to the DSN for an external database, click Next. Under Licensing select Licenses. First we need to add a new license key, click Add New Licenses. Enter the new license key for vCenter Server, click Next. If applicable assign a name to the licence, click Next. Click Finish to add the license key. Switch to Assets, the vCenter Server is listed in evaluation mode. Highlight the vCenter and click Assign License. Select the license key and click Ok. If you have an Active Directory domain then vCenter can use this as an identity source. First ensure the vCenter is joined to the domain; from the Menu drop-down click Administration. Under Single Sign On click Configuration. Select the Active Directory Domain tab and verify the vCenter is domain joined. Change to the Identity Sources tab and click Add Identity Source. Fill in the Active Directory details for your domain and click Ok.
You can now add permissions to vCenter objects such as datacenters, clusters, folders, individual virtual machines, etc. for Active Directory users and groups. 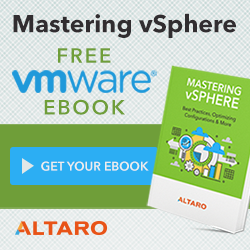 To learn more about vSphere permissions click here. To start adding ESXi hosts to vCenter click the Menu drop-down and select Hosts and Clusters. Right click the vCenter and select New Datacenter, give the datacenter a name and click Ok. Right click the datacenter and select Add Host. Follow the onscreen wizard to add a host. Creating clusters and configuring vCenter is beyond the scope of this post, for assistance follow the documentation links at the top of the page. This entry was posted in vCenter, Windows and tagged vCenter, VMware, vSphere 6.7, Windows on April 25, 2018 by ESXsi. VMware vCenter Server pools ESXi host resources to provide a rich feature set delivering high availability and fault tolerance to virtual machines. The vCenter Server is a centralised management application and can be deployed as a virtual appliance or Windows machine. This post gives a walk through of upgrading a Windows based vCenter Server from v6.0 to v6.5, you may also want to consider Migrating Windows vCenter Server to VCSA 6.5. The vCenter must be running v5.5 or v6.0 to upgrade to v6.5. All ESXi hosts connected must also be running version v5.5 or v6.0, vCenter 6.5 cannot mange ESXi v5.1 hosts or earlier. For other VMware products see the Update Sequence Table. An external database should be Microsoft SQL Server 2008 R2 SP2 or above, or Oracle 11g or 12c. You can review a full list of compatible versions at the Database Interoperability Matrix. You must check compatibility of any third party products and plugins that might be used for backups, anti-virus, monitoring, etc. as these may need upgrading for vSphere 6.5 compatibility. The upgrade supports different deployment topologies but does not, and can not, make changes to the topology and SSO domain configuration. If SSO was installed on a different machine from vCenter Server then the machines running SSO will become external Platform Services Controllers. If SSO was installed on the same machine as vCenter Server then this becomes vCenter Server with embedded Platform Services Controller. In this post we will be upgrading a Windows vCenter 6.0 using the embedded deployment model. If you are using an external deployment model the PSC must be upgraded before the vCenter. You will need the password for the SSO administrator. If the vCenter Server services are running as a user other than the Local System account then log in to the server with this account to run the upgrade. The user must also be a member of the administrators group and have the following permissions; log on as a service, act as part of the operating system (if a domain user). The account used for external database authentication requires Oracle DBA role, or SQL sysadmin server role, or db_owner fixed database role. For a full list of explicit DB permissions see the Database Permission Requirements document. Review the vSphere 6.5 Upgrade Documentation, in particular vSphere 6.5 Component Behaviour Changes. Download the VMware vCenter Server and Modules for Windows ISO from VMware downloads: v6.5.0 | v6.5.0 U1. The vCenter Server 6.5 Installer will open in a separate window, the existing installation is auto-detected, click Next. Enter the SSO administrator password, if you removed this account from the vCenter administrators enter the credentials of a vCenter administrator. Click Next. The installer will now run pre-upgrade checks. Select the type of data to migrate during the upgrade, click Next. Select the installation directories. Note the data export location, you will need to remove this folder after verifying the upgrade is successful. Click Next. Check the configuration on the review page, check the box to confirm you have backed up the vCenter Server, click Upgrade to begin the installation process. A progress bar will be displayed. When you are satisfied the vCenter is working as it should be and backups have completed; remove the temporary data – the default location was C:\ProgramData\VMware\vCenterServer\export. 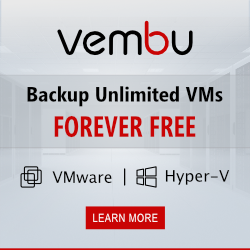 Consider upgrading any other products you may use, such as Update Manager. This entry was posted in vCenter and tagged Upgrade, vCenter, VMware, vSphere, vSphere 6.5, Windows on November 19, 2016 by ESXsi. VMware vCenter Server pools ESXi host resources to provide a rich feature set delivering high availability and fault tolerance to virtual machines. The vCenter Server is a centralised management application and can be deployed as a virtual appliance or Windows machine. This post gives a walk through on a clean installation of vCenter Server 6.5 on Windows Server 2016. vCenter 6.5: Download | Release Notes | What’s New | Upgrading to vCenter Server 6.5 Update 1. For environments with up to 20 hosts and 200 VMs the bundled internal Postgres database can be used. Any hosts you plan on connecting to vCenter 6.5 should be running version 5.5 or above. Before beginning if you intend to use vCenter Server with an external SQL database be sure to install the SQL Server Native Client v10 or v11. You must also configure a 64-bit ODBC data source for external databases. ODBC Data Source Administrator can be accessed via Control Panel > Administrative Tools. Click System DNS, Add and input the details for the external database, test the data source before continuing. If you are using the internal Postgres database then the System DSN is added automatically during installation. The vCenter Server 6.5 Installer will open in a separate window, click Next. If you have an Active Directory domain then vCenter can use this as a source for permissions and sign on credentials. First join the vCenter to the domain; from the home page click System Configuration, Nodes, and select the vCenter server. In the Active Directory section of the Manage tab click Join, input your AD details and click Ok. Reboot the appliance either right clicking the vCenter server under Nodes and selecting Reboot. This entry was posted in vCenter and tagged vCenter, VMware, vSphere, vSphere 6.5, Windows on November 16, 2016 by ESXsi. It may be necessary to delay the loading of a specific service until another service has started and is available for use, such as in an application stack, or for troubleshooting purposes. This quick post will walk-through creating a dependency, or sequence of dependencies, for services on a Windows machine. Many built in Windows components, and third party applications, include dependencies configured during installation, these are visible from the Services GUI. In order to add dependencies after installation we can use the Windows Service Control (SC) command or add the entries manually in the registry. Open an elevated command prompt, be aware that when we set dependencies any existing dependencies are overwritten. So first let’s list the current dependencies using sc qc, the example below will list the properties, including dependencies, of Service1. Use sc config to add a dependency. In the example below Service1 depends on Service2, this means that Service1 will not start until Service2 has successfully started. sc config "Service 1" depend= "Service 2"
For multiple services use a forward slash. sc config "Service 1" depend= "Service 2"/"Service 3"
To remove all dependencies use the following command. Open regedit and locate the following key. There will be a subkey listed for each installed service, click the subkey for the service you wish to configure. Click Edit, and New Multi-String Value. Right click and Rename the value DependOnService. Right click and select Modify, enter the names of the services you want this service to depend on (one per line) and click Ok. This entry was posted in Windows and tagged Windows, Windows Server on November 1, 2016 by ESXsi.